On December 13, 1795, a meteorite fell from the sky and landed in Wold Newton, East Riding Yorkshire. Breadth was twenty eight inches, length was thirty six inches, and it’s weight was fifty-six pounds. This is historical fact. Science Fiction author, Philip Jose Farmer, suggested that the meteor was radioactive. Two passing coaches were in the vicinity and the radiation caused genetic mutations in the people inside the coaches. Many of their descendants were thus endowed with extremely high intelligence and strength, as well as an exceptional capacity and drive to perform good, or, as the case may be, evil deeds. The descendants included Sherlock Holmes, Professor Moriarty, Doc Savage, one of his assistants, Monk Mayfair, The Shadow, G8, Phileas Fogg, Sir Denis Nayland Smith, Fu Manchu, The Avenger, The Spider, Nero Wolfe, Philip Marlow, Travis McGee, among others. Thus, The Wold Newton Family came to be. Interesting concept. There is a bit more about this in the blog post this excerpt was taken from as well as a series of stories utilizing this concept on the site. Haven’t read any of them yet but am planning to asap. Just a quick note to say Merry Christmas and Happy New Year to all the Wolfe fans out there! Not dead yet. Just way too busy to do much online lately. Will try to get back to posting new covers later in the coming year. 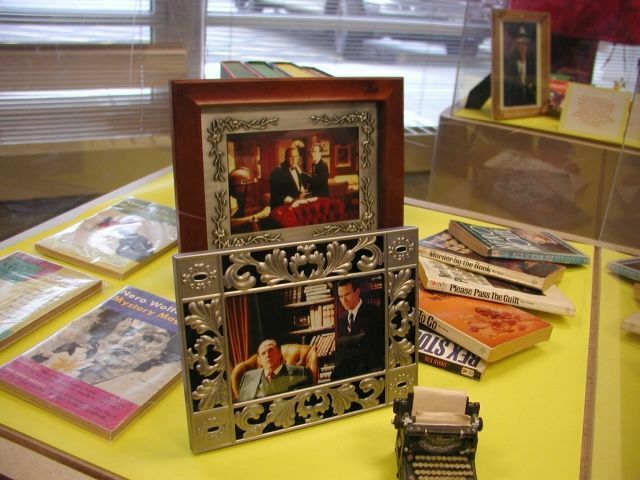 Some fantastic displays of Wolfe memorabilia! 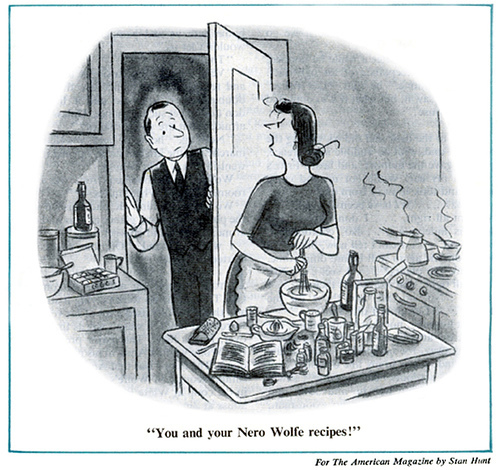 There are 25 mp3s of Nero Wolfe radio shows available at this site. Good quality too! 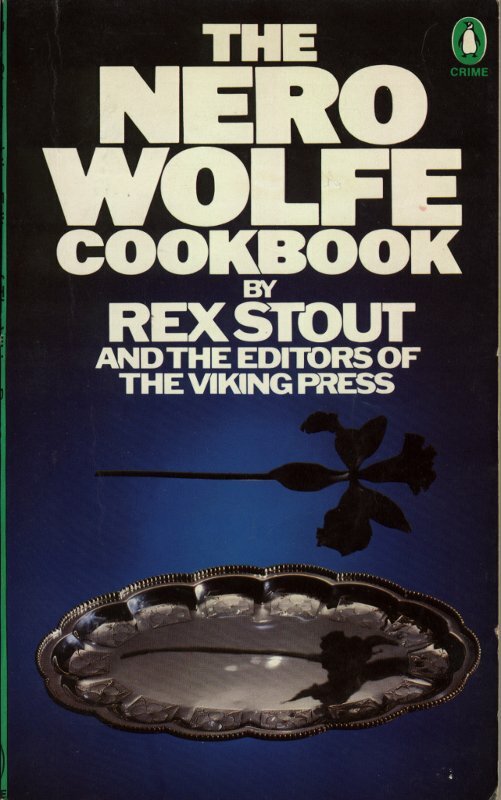 This site has a cd of mp3’s of old Nero Wolfe Radio Shows for sale. $5.00 for 27 shows. I assume that is + shipping. 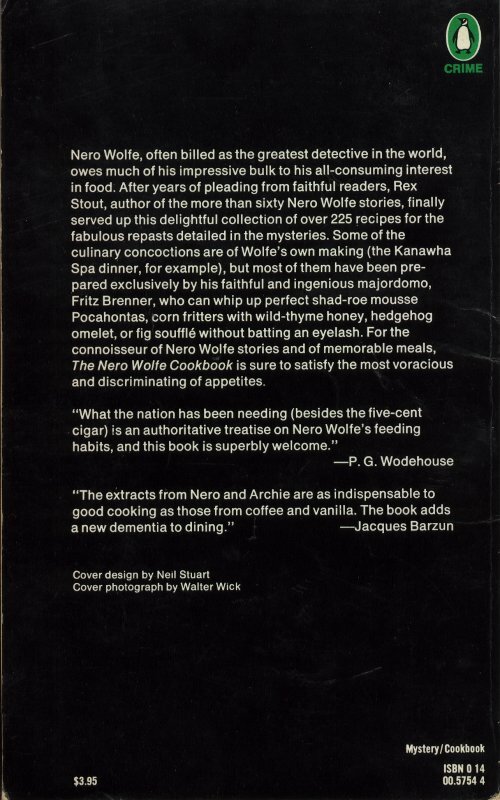 They have one of them, Stamped For Murder, available for download at: http://www.otr-cat.com/otr3/nero_wolfe_501020_stamped_for_murder(otrcat.com).mp3. Please note that the link above will start the mp3 playing. Right click and save linked file as or whatever works for your system to download. This file is 6.7 mb. The sketch and description below are taken from the Bantam Crime Line Edition of Fer-De-Lance Published in 1992. 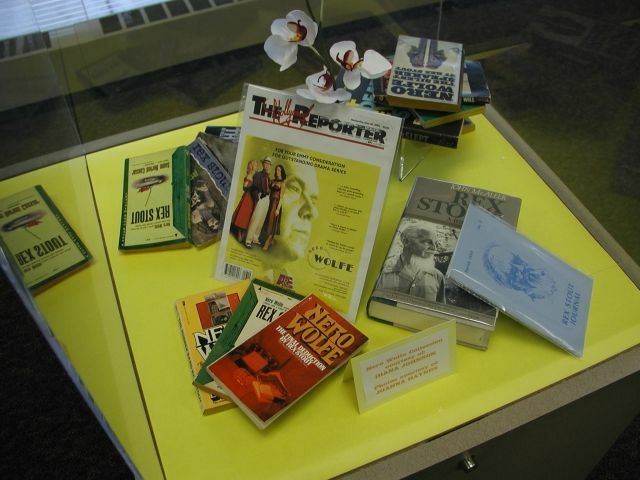 According to the book: These items are from Rex’s archives and have never been published before. the middle. It (and all other rooms) are carpeted; Wolfe hates bare floors. room is used chiefly as an anteroom: Nero and Archie do no living there. a wide and well cushioned couch. In furnishings the room has no apparent unity but it has plenty of character. three pictures: a Manet, a copy of a Corregio, and a genuine Leonardo sketch. job and lived there you would probably learn to like it.